The Cult of Saint James was a popular institution in Ireland during the Middle Ages. Many examples of this popularity can be seen through out the country and include a large number of churches being dedicated to the saint. Another example of the popularity of Saint James is the number of Irish people who undertook the pilgrimage to his shrine in Compostella in Spain. Saint James’s Gate in Dublin, a name now synonymous with Guinness rather than medieval travel, was the site from which many Irish pilgrims left for Santiago de Compostella, travelling by sea to the continental mainland and then by foot or horse to complete the pilgrimage to the Spanish city. Evidence of Irish pilgrims leaving these shores for Spain is not only seen in written records such as those of hospitals housing pilgrims but also in archaeological investigations of tombs and graves. According to Martin Fitzpatrick, scallop shells (the pilgrim badge and symbol associated with Saint James) have been found on bodies excavated in at medieval sites in towns such as Tuam, Drogheda and Mullingar. 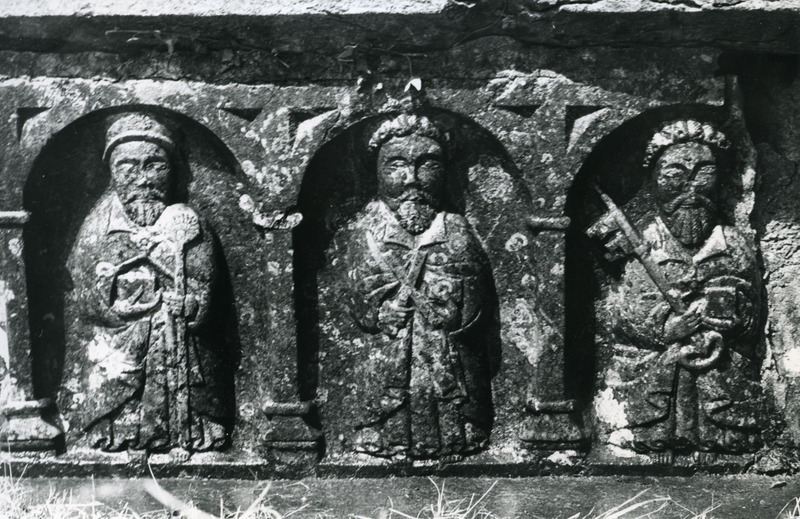 Depictions of Saint James himself can also be found on an assortment of tombs across the country including a selection in Co. Tipperary. The tomb of Edmund Archer and his wife in Thurles, the effigy of Pierce Fitz Oge Butler in Kilcooley Abbey and tombs present in the Rock of Cashel all exhibit representations of the saint dressed in pilgrim garb and displaying the scallop shells. These depictions not only demonstrate the popularity of Saint James in Ireland but also may prove that those interred within these tombs undertook the pilgrimage to his shrine at some stage in their lives, adding to the list of well-travelled Tipperary natives.